With summer coming to an end and fall almost here, something interesting happens to tomato plants: the green fruit, which is perfect up to this point, refuses to turn red. Days turn into weeks and those green tomatoes are still sitting there, waiting for birds and bugs to dig in. You wonder, "What has caused this? How can I fix it?" Unfortunately, it's the weather – the one thing you can't change. When the weather stays above 80-85 degrees for more than a couple of days, the tomato plant stops producing the two things that are responsible for turning the skin red: lycopene and carotene. When there is no more lycopene and carotene producing there is no more ripening. While you might be tempted, whatever you do, do not strip the leaves around the fruit to let in more sun. This may toughen the skin, leaving your tomatoes less tasty and won't help them turn red. Since you can't change the weather and having more shade won't help at this point, you will need to harvest to help them finish ripening! Carefully pick the green fruit and store it indoors for a couple of weeks. When you do this, you are trying to capture the fruit's ethylene gas, which makes them ripen. There are a couple of easy ways to do this. Place them in a paper bag, along with a banana or apple, close it, and set it on a shelf in the pantry. The banana or apple will release a lot of ethylene gas, which will trigger the tomatoes to ripen. Remember to check them every few days. Wrap each tomato loosely in newspaper and place them on a shelf. Monitor the progress of the ripening. Line the bottom and sides of a cardboard box with newspapers. Carefully place the tomatoes in the bottom, filling it no more than 2 layers high. Place another layer of newspaper on top of the upper layer and close the box. Store the box in a warm, dry, indoor place. Check for signs of ripening after a week! Some may think to combine tomatoes with a banana in a plastic bag, close it up, and let nature take its course. This however, will risk rotting the fruit by restricting airflow. Porous cardboard and newspaper are highly recommended because they allow for more air circulation, while still allowing enough closure for the ethylene to help ripen. 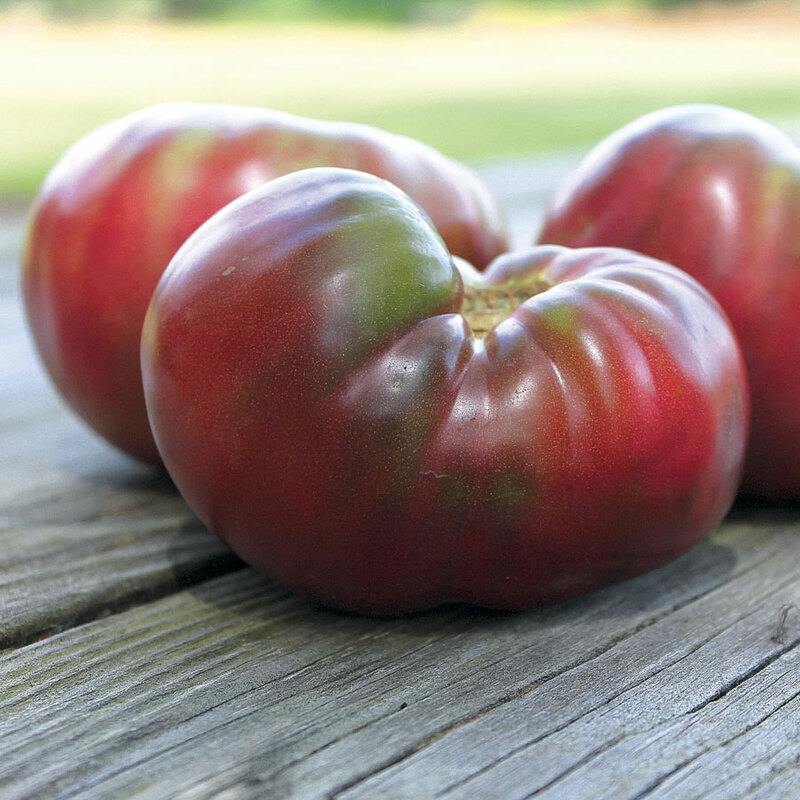 Some of your tomatoes may look like they have "green shoulders" or green on the top. This happens when there is too much direct sunlight, combined with high temperatures that cause the breakdown of chlorophyll within the fruit to stop. The warm midsummer weather causes the tomatoes that have already started to turn red to stop, leaving the top part green. Resulting in your green tomatoes! The good thing about this is you can cut off the green part and enjoy the rest of your tomato. Next year you can provide a little more shade to cover your tomato plants to avoid the issue. Confused whether your green tomato varieties are ready or need more time? There are some clues you can look for before cutting into one to check! 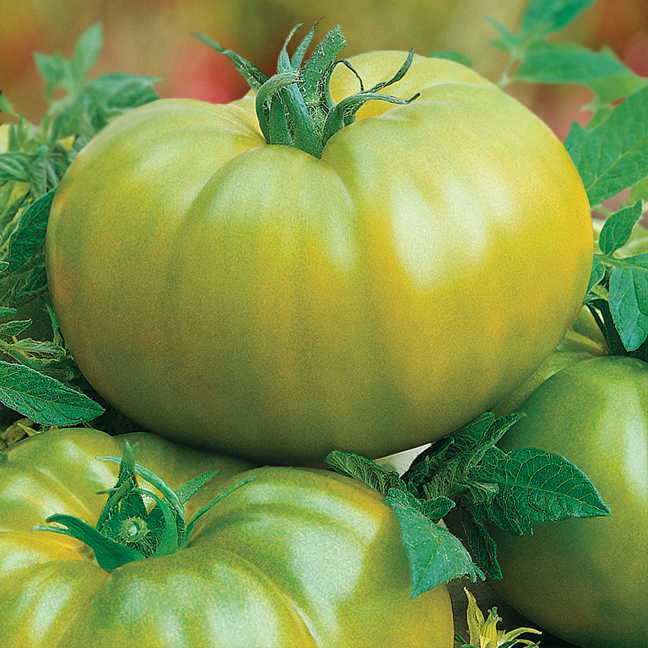 There will be white streaks or patches that turn a yellowish color on green tomatoes when they are fully ripe. 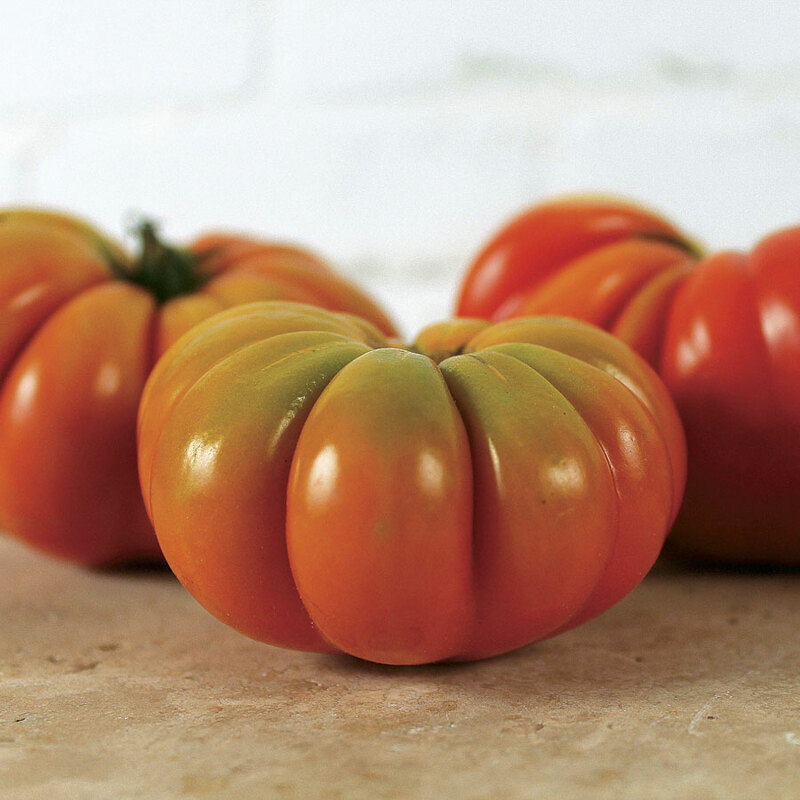 Ripe tomatoes feel heavier than they should and have a bright, glossy shine on their skins! If you think your green tomatoes have stalled in the change of weather, follow the same process as above to ripen them up! Now that you know the solutions for your tomato troubles, you can enjoy your bountiful tomato harvest! We have some tasty tomatoes that you may enjoy in your garden for next year at www.parkseed.com.